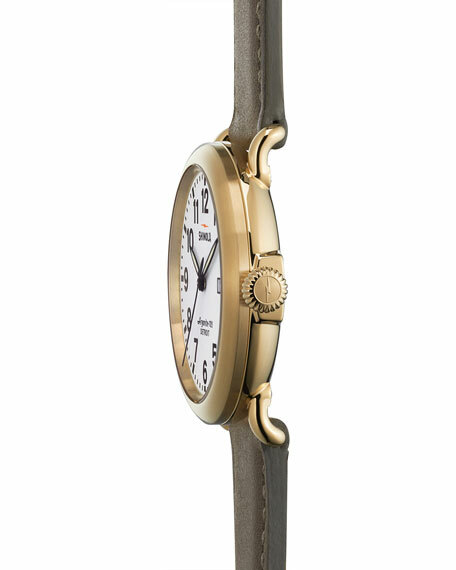 41mm PVD gold stainless steel case with double curve sapphire crystal. White dial with Arabic numerals, hour markers, and luminous hands. 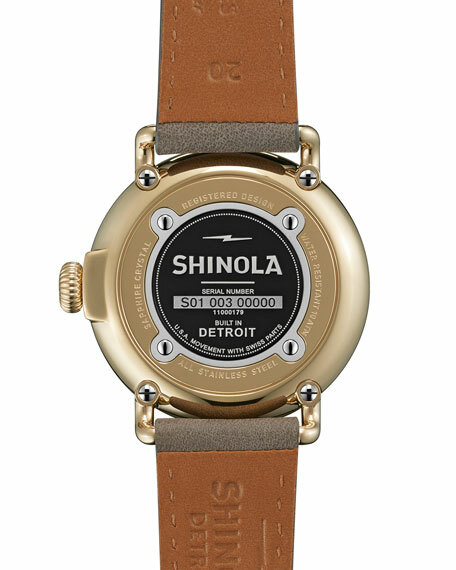 A Detroit-based company dedicated to bringing world-class American manufacturing jobs back to this country, Shinola believes that products should be well made and built to last. 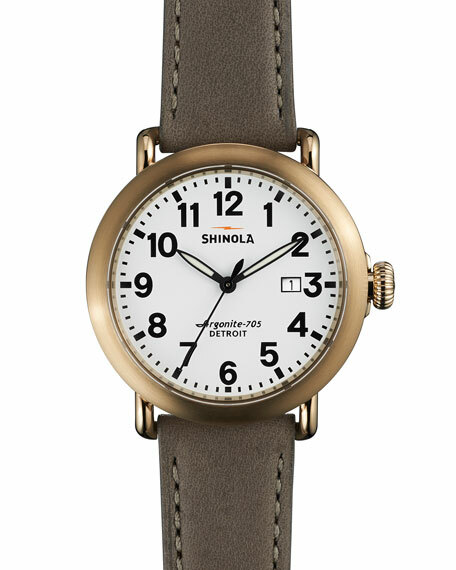 The Shinola line offers versatile and modern men's and women's watches in classic styles. Signature styles include The Runwell, The Birdy, The Brakeman, The Gomelsky and The Canfield. Each watch is hand-assembled in Detroit from the finest Swiss and other imported parts. For in-store inquiries, use sku #1540583.